Say hello to the ASUS HiveSpot and HiveDot. After years of being clunky concepts, mesh wireless routers are finally becoming viable options for your home, thanks to the likes of Eero and Google WiFi. 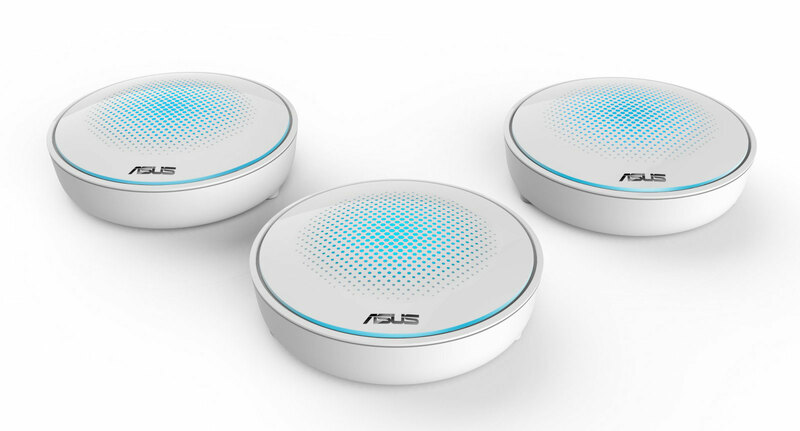 At CES, ASUS finally unveiled its own mesh solutions, the HiveSpot and HiveDot routers. HiveSpot, the more powerful of the pair, is a triband AC2134 router, whereas HiveDot is a dual-band option with slower AC1300 speeds. They look like fairly simple pods, similar to Google WiFi, though it's unclear how big they are from the press photos. You'll need at least three HiveSpot or HiveDot nodes to get a system up and running, and ASUS notes that any of them can be configured as a "master" device connected to your modem over a gigabit LAN port. But if you're just looking to spread out WiFi around your home, you can also connect the master device to an existing router. ASUS says each system will support up to five separate nodes, which should allow them to cover large homes and offices. At this point, it's unclear if you can mix and match HiveSpot and HiveDot devices in a single home. Under the hood, the HiveSpot packs in seven smart antennas. Both routers also use ASUS' "AiRadar" beam-forming technology to point wireless signals toward devices using them. On top of typical 802.11ac 5GHz and 2.4GHz networks, the HiveSpot also has a third 5GHz band that provides an 867-Mbps connection between its nodes. We don't know how much the HiveSpot and HiveDot systems will cost, but hopefully, they'll be competitive with Eero, which costs $200 for a single node and $500 for three.